Approximately 90 percent of seniors wish to remain living at home “at all costs,” according to a survey conducted by AARP. Living at home allows the senior to maintain his independence and comfortable daily routine. The familiarity and security of living at home is possible for more seniors than ever before, thanks to innovative homecare systems and homecare software like ClearCare Online. In addition to point-of-care homecare systems, what should you look for in a home care provider? Experts agree that using a reputable, licensed agency is the best way to find appropriate caregivers. Once you’ve made a list of several potential agencies, here are three key items to look for. Background screenings. Working with an agency that conducts national background checks on all employees protects your loved one and his assets. “The biggest aspect is the insurance protection,” explains Julie Northcutt, founder of Caregiverlist. “You don’t want to lose a lifetime worth of assets because you don’t have a professional.” You will also feel more secure knowing that there is no chance a criminal could be taking care of your loved one. Agencies that use reliable homecare software like ClearCare Online can easily track and store this important data. Properly trained caregivers. 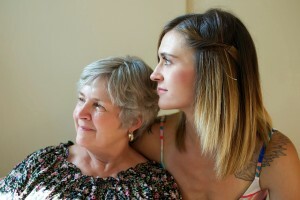 A study by The Caregiving Project for Older Adults identified a common misconception that could create problems for families looking for experienced caregivers. Although 78 percent of survey respondents believed that their caregivers had received a recognized level of training, no such training had been completed. Never assume that any caregiver has had formal training unless she is working as a licensed or certified aid or nurse. If you have any doubts, ask. For agencies that use homecare systems and homecare software such as ClearCare Online, caregiver certifications and credentials can be checked with the click of a mouse. In addition, when certifications are up for renewal, ClearCare Online’s homecare software will automatically alert the agency administrator. Real-time transparency. With elder abuse and fraud on the rise, it’s more important than ever to hire an agency that provides an appropriate level of transparency – the amount of relevant information the agency makes available to the family. Homecare systems like ClearCare Online that give family members real-time updates on daily activities and tasks will ease your mind and guarantee safer care for your loved one.